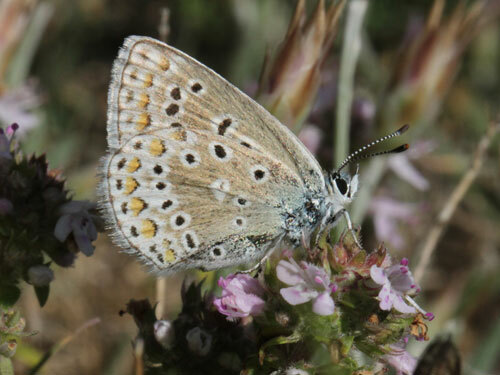 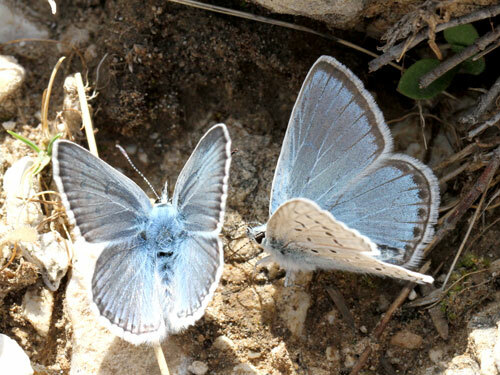 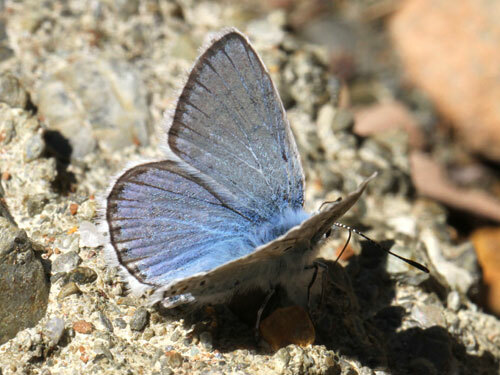 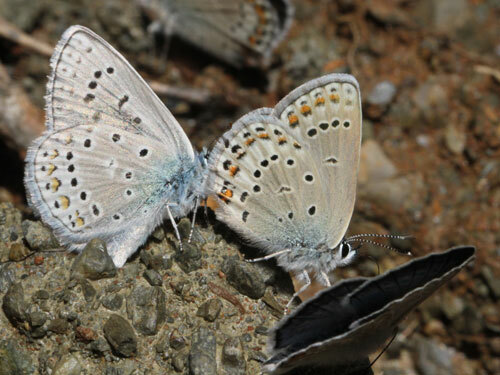 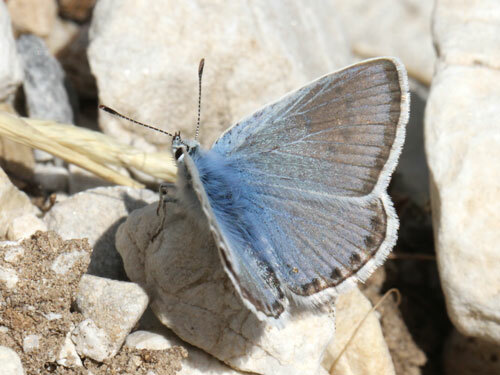 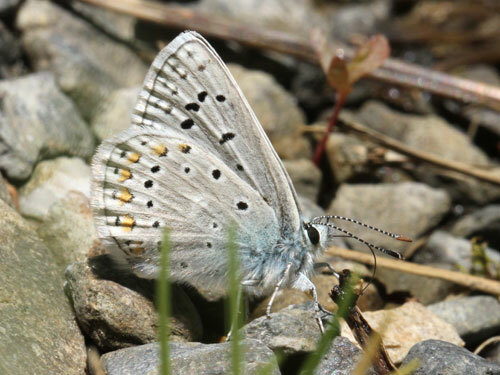 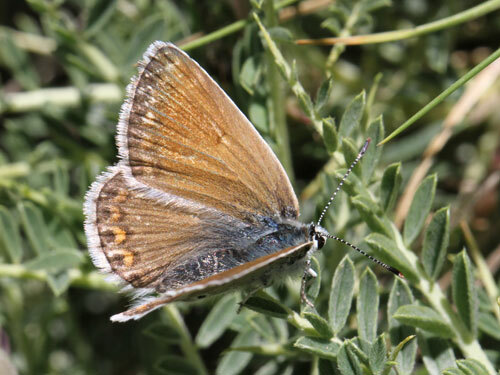 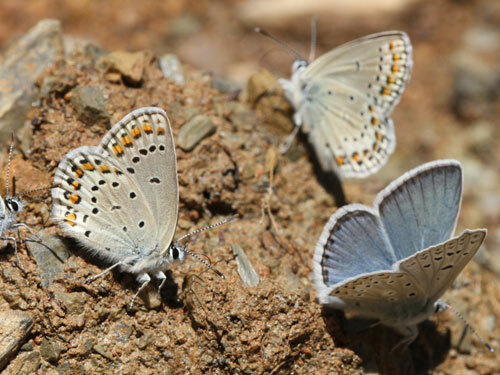 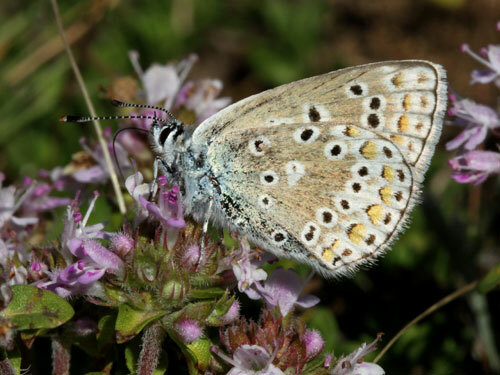 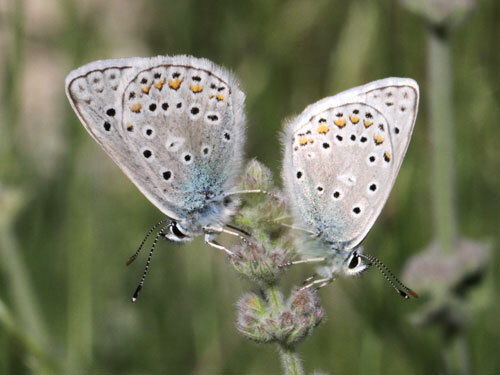 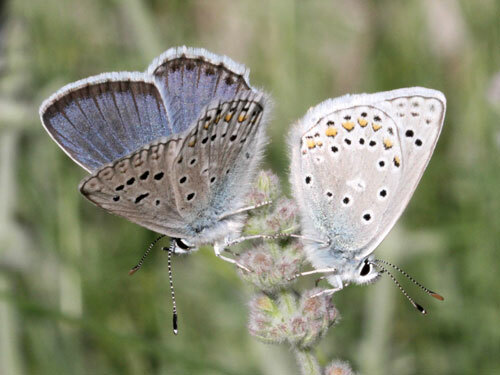 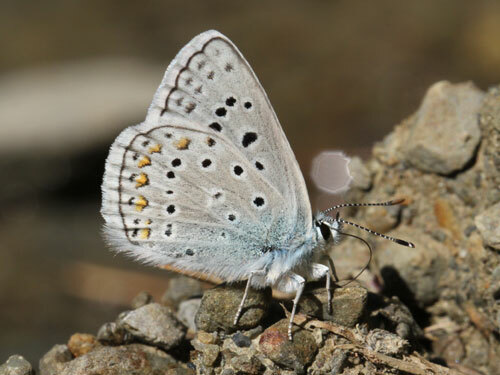 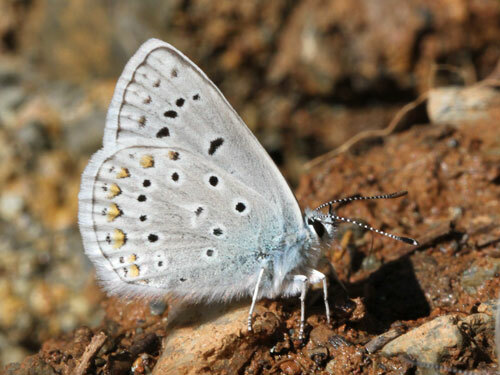 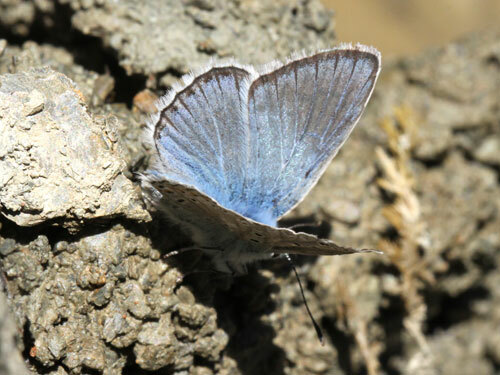 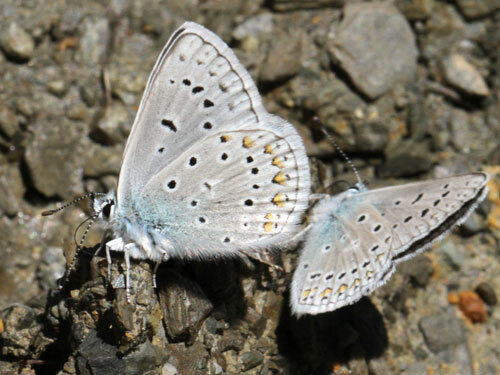 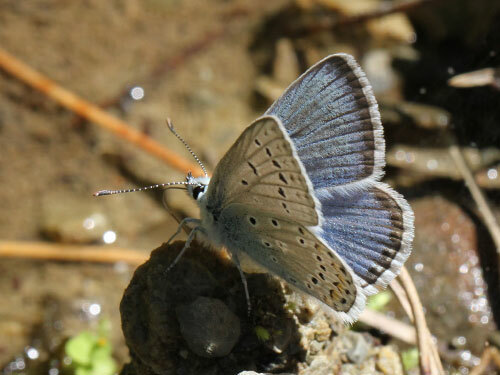 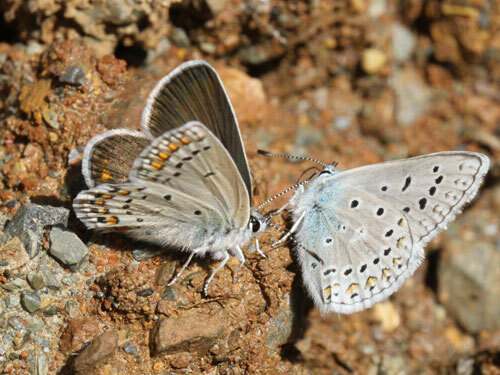 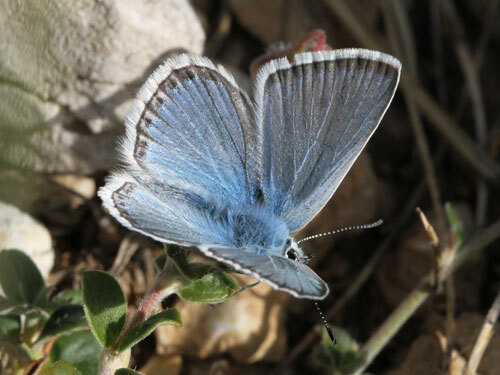 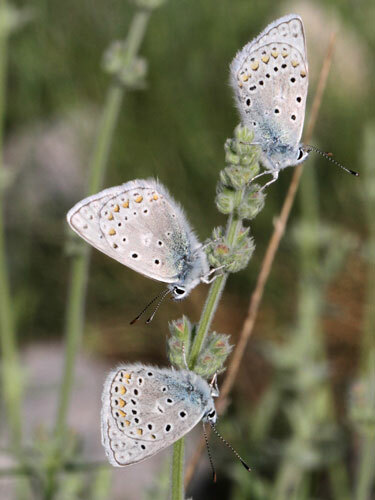 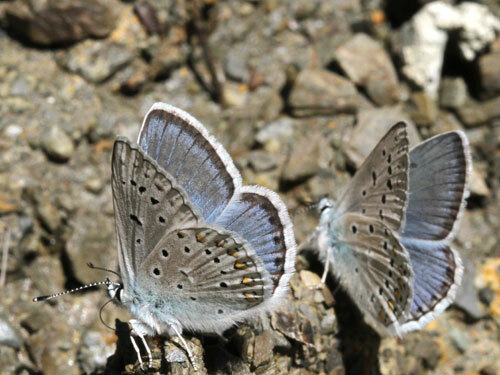 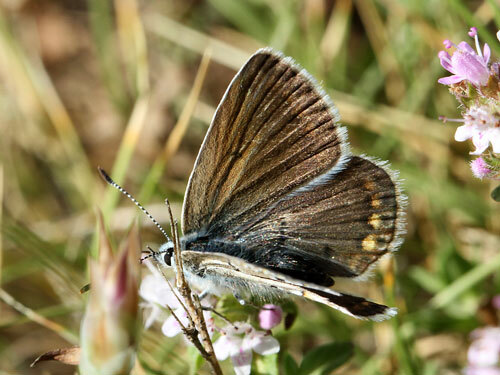 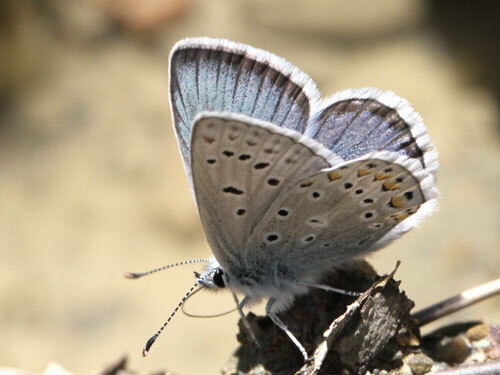 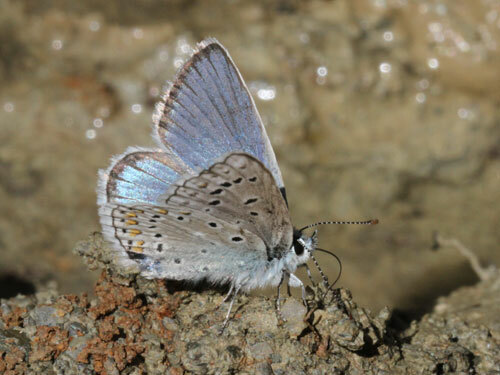 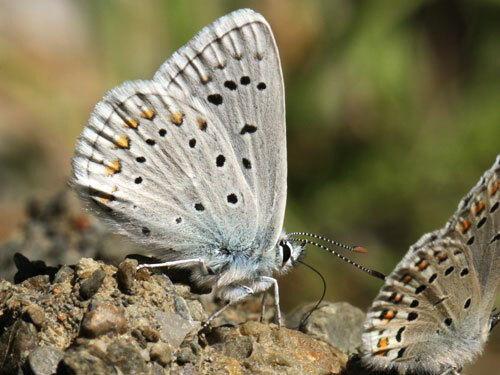 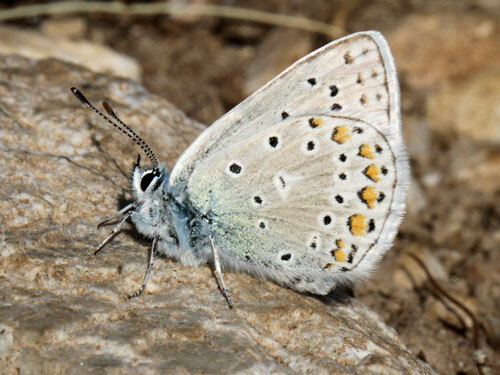 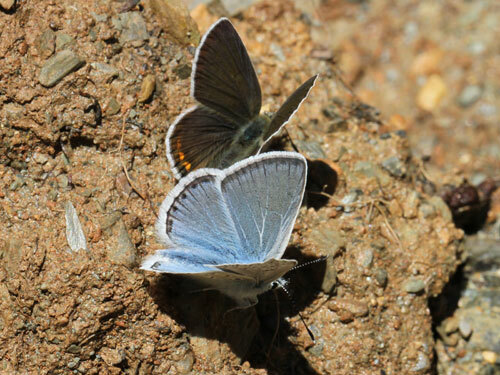 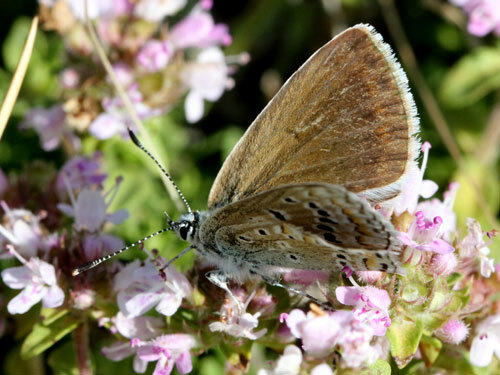 Now considered a subspecies of the eros blue, P. eros, this subspecies is confined to a single mountain, Mt Taygetos, of southern Greece. 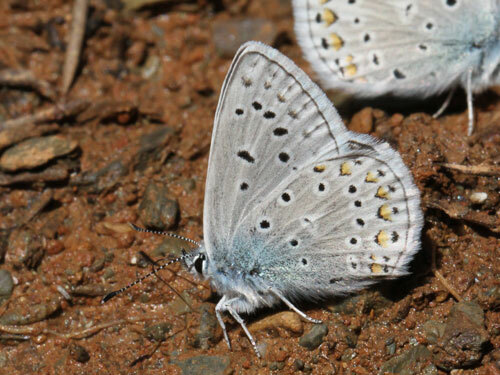 Identification & Similar species: Similar to the nominate subspecies but larger and with black spots on the hindiwng upperside. 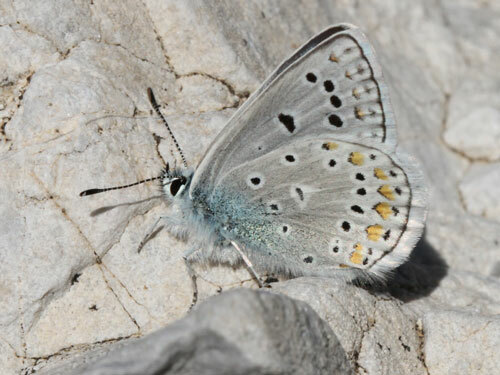 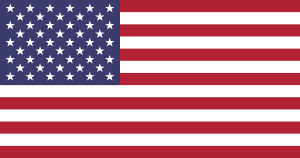 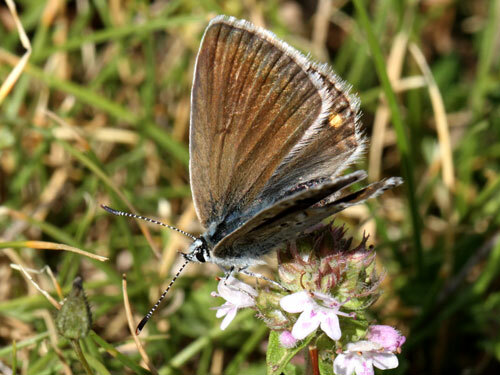 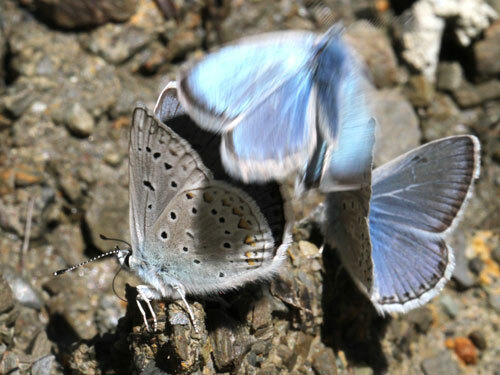 The upperside blue is paler. 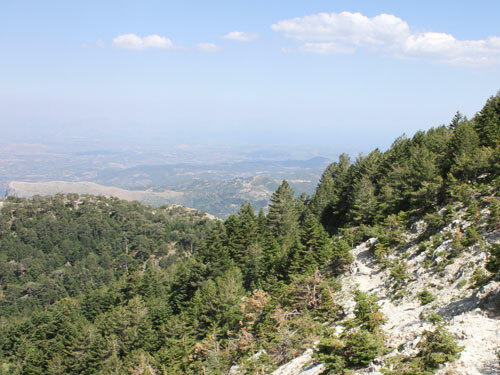 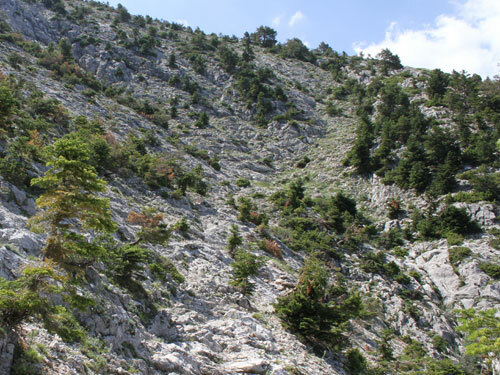 Distribution & Flight: Only from Mt Taygetos, Peloppensos, Greece. 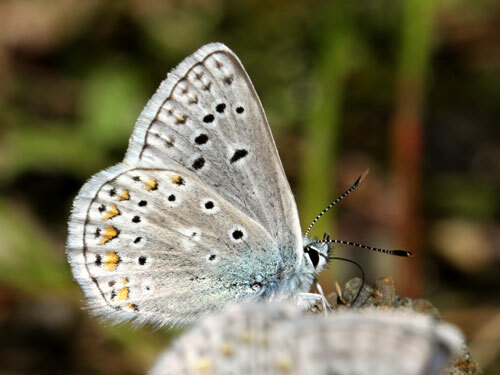 Habitat & Behaviour: It flies close to and above the tree line in flowery grassy places. 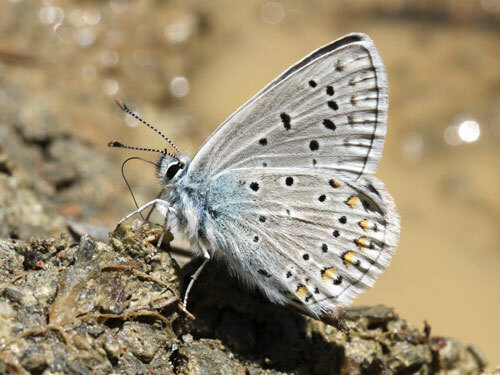 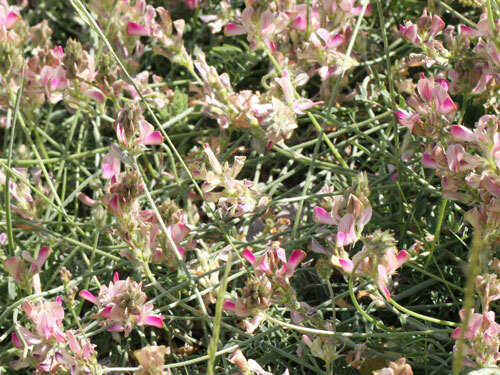 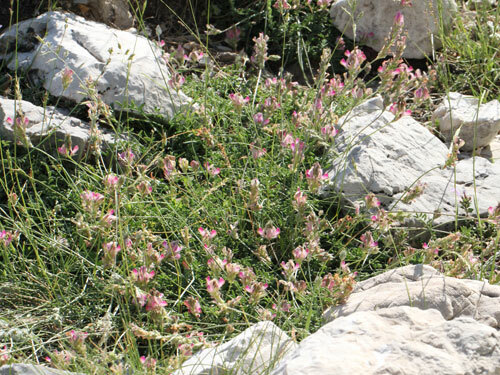 We found it commonly at damp springs and at one breeding site. 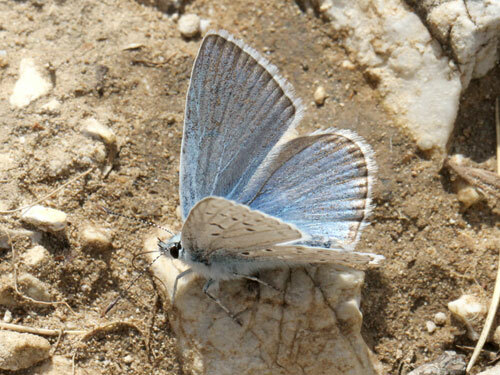 Only the brightly coloured males were taking liquids/ salts. 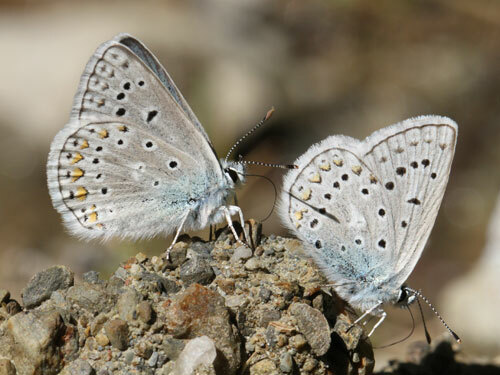 Females were conspicuously rare at the colony, perhaps they were yet to emerge. 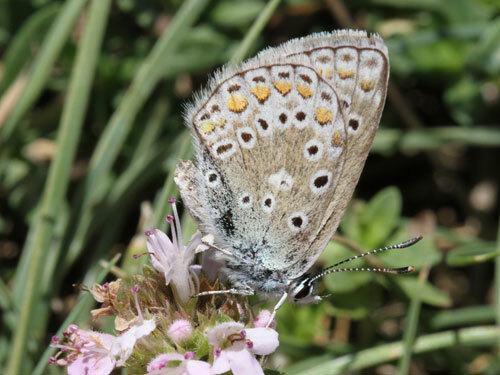 With eastern brown argus Kretania eurypilus. 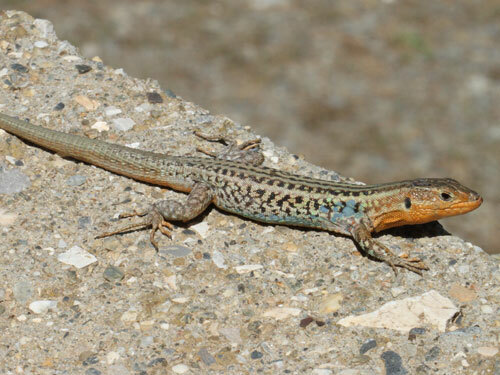 Peloponesos wall lizard Podarcis peloponnesiacus. 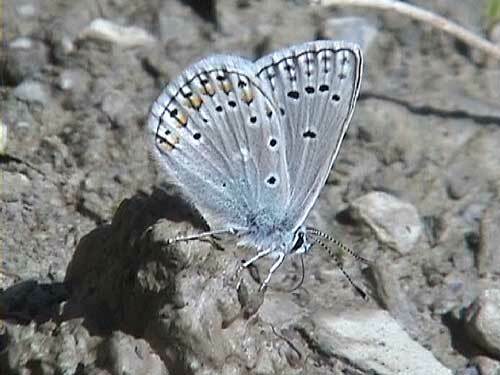 Lacking underside forewing cell spot.